Peter is one of four children born to a poor, single mother in rural Kenya. He is a determined student who works very hard in school to earn high scores in the hopes of attaining a spot at one of the top national secondary schools. He hopes to help not only his family, but also others in need. Though Peter’s mother is unable to pay his school fees, the school keeps him enrolled as a way to boost its overall performance. He survives largely on donations from well-wishers, whose kindness drives him to pursue a better life through education. 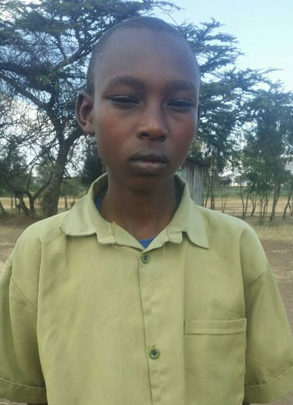 Part of your sponsorship will go toward treating Peter’s severe allergies, which cause his eyes to swell. Once this is taken care of, he will be able to perform even better in school.